Weston Leavens became “The Deckmaster” some 30 years ago when he invented the Deckmaster Hidden Fastening System. 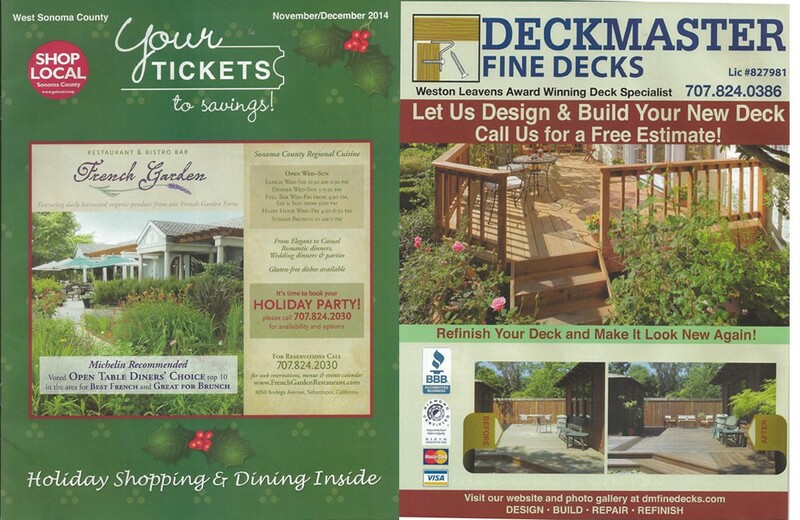 Since then, he has become an award winning deck builder and designer, creating lasting beauty with his company Deckmaster Fine Decks, Inc.
“Weston Leavens” and “Master Deck Builder” are synonymous. He brings decades of inventiveness and award winning perfection in design and construction to the deck building craft. 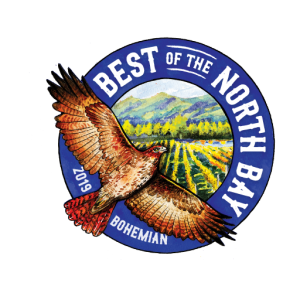 If you’re seeking eye appeal and lasting quality, you’ve come to the right place. Just looking at a few of the illustrations of Weston’s work throughout this site cannot help but convince you. Expert Article By Weston featured on Angie’s List. 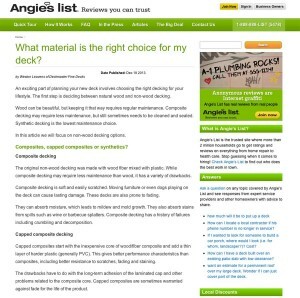 “An exciting part of planning your new deck involves choosing the right decking for your lifestyle. The first step is deciding between natural wood and non-wood decking. Wood can be beautiful, but keeping it that way requires regular maintenance. Composite decking may require less maintenance, but still sometimes needs to be cleaned and sealed. 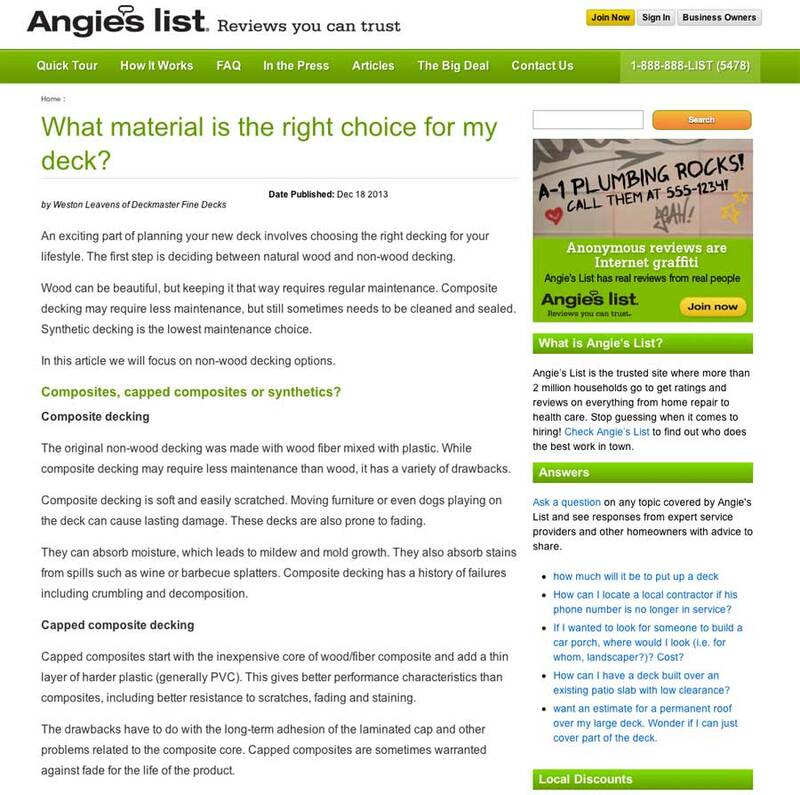 Synthetic decking is the lowest maintenance choice. Diamond Certified Expert Contributor, Weston Leavens speaks about why his patented Hidden Bracket System is the ONLY way to install your deck.